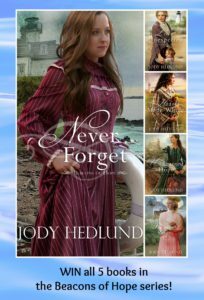 Every time I crack open the pages of one of Jody's books I am left in awe. Her books consistently posses quality story and the characters reach out and grab my heart and emotions. Abbie and Nathaniel's story will take you on the emotional ride of a lifetime. There were so many possible outcomes that I was furiously reading the last few chapters to see what happened. 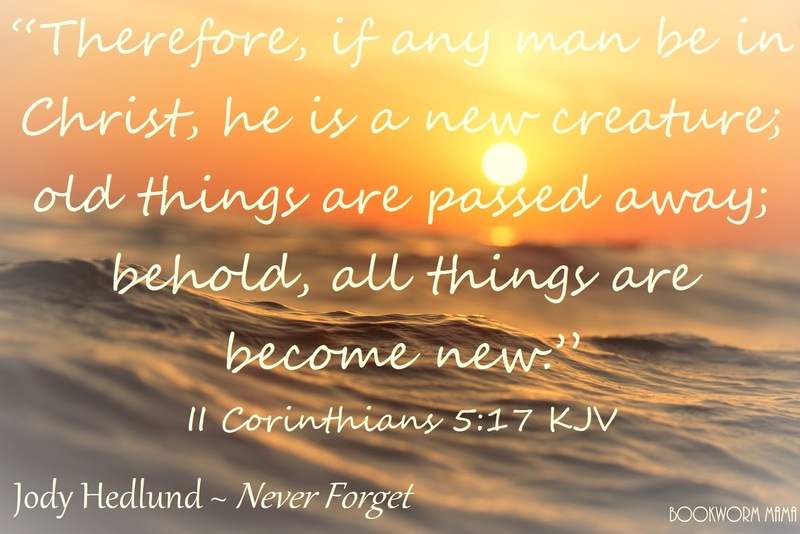 No matter the ending, the message of the story shines brightly and is unavoidable; In Christ, we CAN become new. 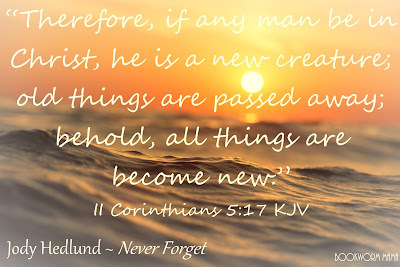 His love and forgiveness can wipe away the past and we can start fresh. However, it is so much harder to turn away from the past under our own strength. That being said...No, I am not telling you how the book ends. I will tell you I screamed aloud several times, laughed, cried, and giggled like a schoolgirl before I finished. 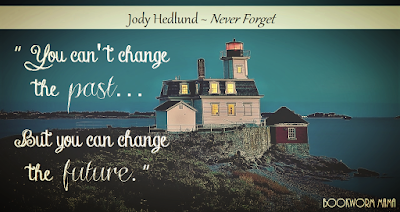 One thing that I simply adore about Jody Hedlund, (I am sure I have said this before) is that she doesn't shy away from the truth. 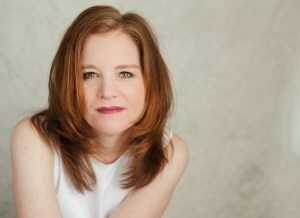 The Bible, Christ, faith, conviction, and redemption are all strong aspects of her writing. Her words move me and touch my heart in such a precious and powerful way. Even her "Author's Note" contains the power of Christ. Beacons of Hope has earned a position as one of my forever favorites. I am so sad to see its conclusion, yet Never Forget brings the series to a satisfying end. Following the Cross of Hope we discover so many lighthouses and learn about the REAL women who worked them. The journey has been rewarding, educational, and inspirational. I HIGHLY recommend these books! Each of the books can stand alone, however, reading them from the beginning will give you the full experience. When all is said and done, I pray that the message of HOPE speaks to your heart as it did to mine. 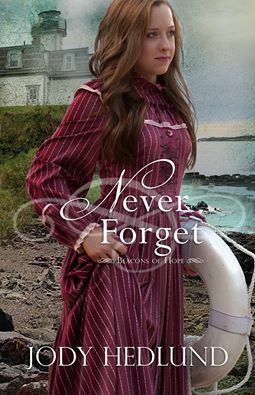 I received a complimentary copy of Never Forget. I was not required to write a positive review. All opinions expressed are mine alone. yes yes yes. a bazillion times yes. You did a much better job capturing the emotion and theme than i did. I was still flustered by the kisses LOL. I feel the same way! If I love an author, I will read anything they write! And thank you! I adore making them! I have no preference as to stand alone or series. I go between the two quite frequently. If I pick up a book and I read it and later find it's part of a series, I usually want to read the series, but it's not necessary. Thanks for such a great look into the book and awesome blog and giveaway! Oh my pleasure! Thank you for stopping by!!! I love reading a series! I enjoy stand alones while I wait for the entire series to be out. I love both...I can't decide! Eeee!!! 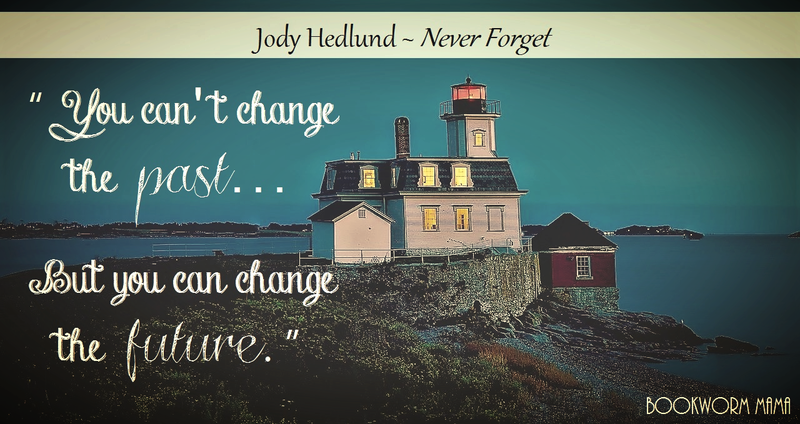 Thank you Jody! It is an honour to have you here! I would really enjoy reading this series. Love the synopsis of this series and can't wait to read. Oh it is SO good!!!! Good luck!!! I love series! Both the ones that continue a story and the ones that feature the different characters, but visit the ones from the previous books. But I also enjoy stand alones. I just have to continue the story in my mind. Haha! Yes to all of this! I love series because I want to know what happens to the other characters. It's such an adventure. It rounds out each story. I agree! I get invested in the lives of the characters!